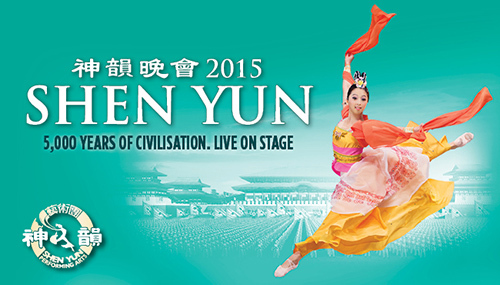 The Shen Yun Symphony brings music from 5000 years of Chinese civilization to life. The performance is a fascinating combination of Eastern and Western musical traditions that no other orchestra has ever captured. This 'transformative experience' is one you won't want to miss. Purchase your tickets at Artfest Toronto this Labour day long weekend at the Distillery Historic District in downtown Toronto. Shen Yun's mission is to revive this divinely inspired culture, and to bring its beauty and wisdom to audiences around the world. From the elegant music of imperial courts to the lively melodies of the common people, Shen Yun Symphony Orchestra takes you to the soul of an ancient civilization. Shen Yun Orchestra is performing this October in Toronto at the Roy Thomson Hall so get your tickets now for a performance of a lifetime. Buy tickets here. Roy Thomson Hall, Friday, October 5, 2018 8:00 p.m. Please feel free to LIKE Shen Yun on Facebook and see you all at the last show of the season downtown Toronto for Artfest Toronto @ the Distillery 2018!! Posted on August 28, 2018 by Lory MacDonald and tagged Artfest Sponsor Media Sponsor Epoch Times Shen Yum Symphony.